With the warm Spring season of 2018 right around the corner it’s time to get ready for it. Now is the perfect time to style your home in unison with the Spring. As a home decorator and fan of interior design, you want your home to resonate with the season. You want your home to be a representation of you yet still be in tune with nature and the current season. 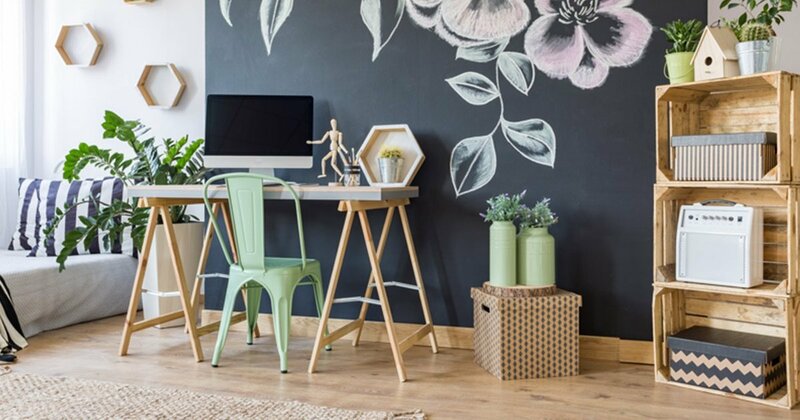 To help you accomplish this, here are 10 beautiful Spring 2018 elegant home decor trends. This Spring of 2018 decorating with vibrant, bold floral patterns is a popular elegant home decor trend. When home decorators add floral print designs to their home they usually play it safe. They don’t want to go overboard. They don’t want to give their home an overbearing look. This is understandable. However, this Spring season don’t be afraid to style with a lot of floral patterns. Although floral print and flowers have always been a common look for the Spring with interior decorators, there was never quite a boldness to it. This year instead of “safe”, “moderate” floral patters go large. Add an accent chair that has large flower patterns all over it in your living room. 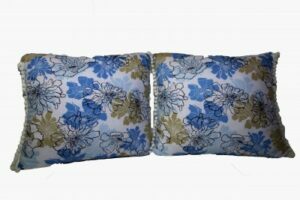 Add a decorative throw pillow set with grand flowers printed all over them to your favorite sofa. Another popular elegant home decor trend this Spring of 2018 will be velvet material and accents. Velvet creates a sophisticated, classy theme in your home. Don’t be afraid to use it this Spring. 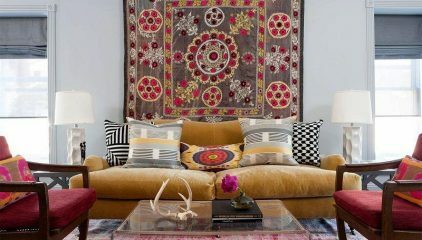 It’ll especially be popular with home decor accents such as sofa throws, accent pillows, etc. Velvet material will also be common among large home decor accents such as love seats, dining room chairs and more. Add a gorgeous throw pillow set designed with velvet material to your living room couch to instantly give your home a Spring vibe. Colorful kitchens will be very popular Spring 2018. The standard all white or stainless steel kitchens are no longer in style. 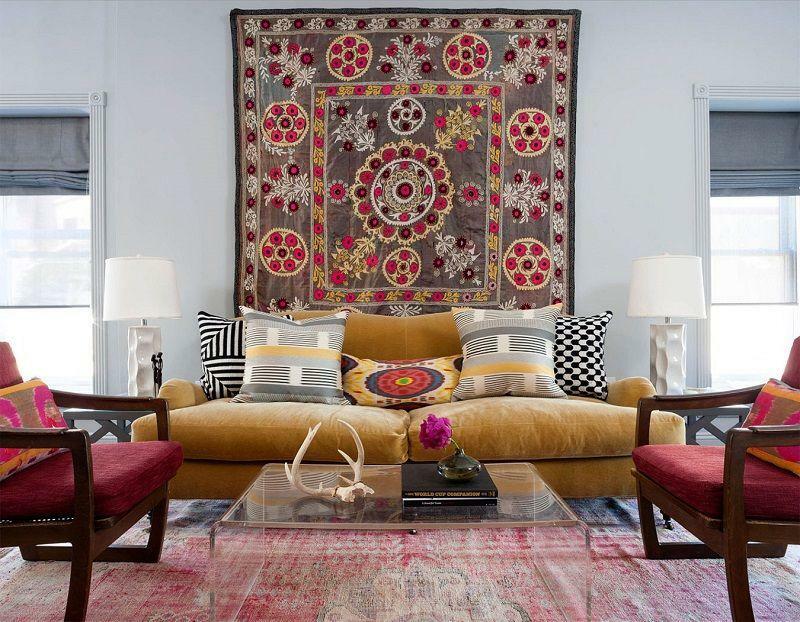 Interior designers and home decor lovers are going for a more lively look. Kitchens that have colors will be very popular. Although colorful kitchens are what most decorators will be going for it can’t be just any colors. Neutral colors that have a natural look to them are specifically what home decorators are looking for. 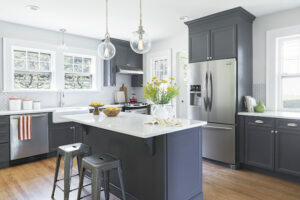 Colors such as sky blue, gray and cream are the hues to design your kitchen with this Spring of 2018. Styling your kitchen with two of these neutral colors is a great way to go. This is because two-toned kitchens are another popular home decor trend. It’s not just about styling your kitchen with 1 neutral Spring color. Take 2 of your favorite hues and allow your kitchen to come to life. 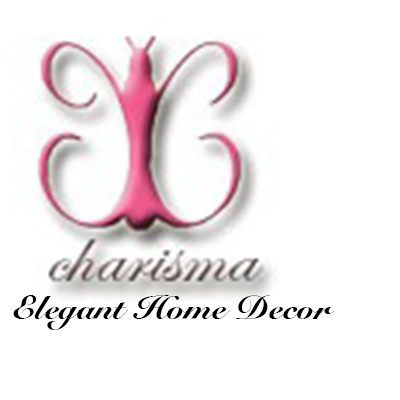 A very popular elegant home decor look you’ll see this year is the natural, earthly look. When most think of the Spring they think of a very colorful atmosphere. This year things are somewhat different. The graceful, natural, earth look is in. Entire living room and dining room layouts will be designed in hues such as cream, tan, light blue and other neutral tones. 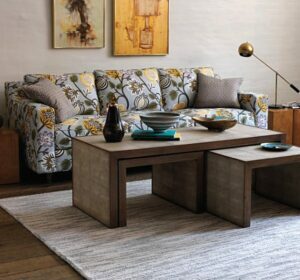 This includes large, decorative pieces for the living room such as tables, sofa sets, large floor vases, etc. Add gorgeous, fun, creative geometric shapes and patterns to your home this Spring of 2018. Elegant home decor doesn’t always have to be sensual and calm. You can give it a spunky aura as well. Geometric patterns and shapes will be very popular among home decorators this Spring, The great thing about this trend is it can go any where in your home. It’s not limited to simply home decor accents or only in your main room. This warm Spring season spruce up your home with geometric designed wall paper, throw pillows, floor tiles and more. These geometric shapes include triangles, diamonds, circles, etc. To make this vibrant look all come together make sure you design the remaining area of your home with colors and undertones to match. Stunning example of a living room design with a geometric pattern. Another elegant home decor trend coming this Spring 2018 are large paintings. Adding beautiful paintings to your home compliments any warm Spring theme. It says intimacy, love and character. The larger the painting and wall decor art is, the more charm it gives your home. Making sure the painting has Spring colors alway helps as well. 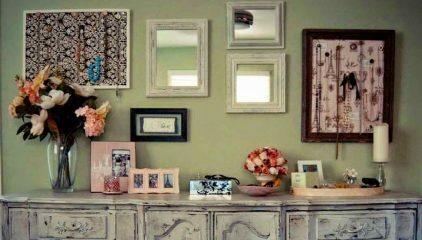 These paintings and wall art can be placed above your favorite piece of furniture, the largest piece of furniture or simply in its own area. Either way getting in touch with your artistic side this Spring 2018 isn’t a bad idea. It’s a great way to jazz up your home and be in touch with the popular decorating trends this season. According to experienced interior designers and fashion industry experts the color olive green will be popular this Spring 2018 for home decor. With a striking, strong tone such as olive green it’s easy to style softer colors around it. Give your residence a beautiful Spring design with large olive green accents and smaller pieces such as pillows, picture frames, candle holders and vases to go around it. You can also paint your walls olive green. Or you can purchase a predominantly olive green sofa set. This color is guaranteed to give your home a stunning, Spring vibe. Intimate living room designed with the color lavender, a very popular Spring 2018 home decor trend. Another popular elegant home decor color this Spring is lavender. Lavender naturally has a classy, Spring, soft look to it. This year it will be extremely popular with home decor lovers. Lavender is naturally beautiful in tone. It compliments many other colors. It looks great with a floral print style theme. Most importantly it literally screams Spring is here. Add the color lavender to your curtains, table cloth, throw pillows and more. Large shapely furniture items will be extremely popular this 2018 Spring season. Decorating your home with an exotic shaped furniture accent adds elegance, uniqueness and sophistication to your home. 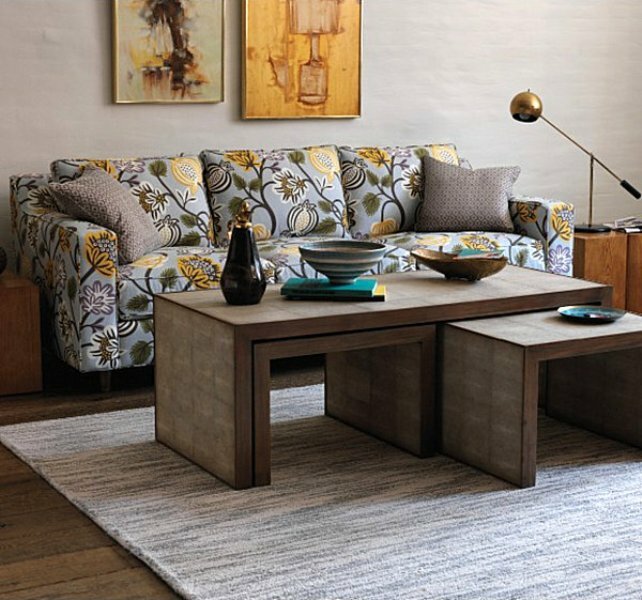 Add a medium size fabric material bench to your living room that has an exotic shape to it. You can also add a shapely, swivel chair to your decorating theme to spruce up your home this Spring. Luxury home accents that are woven will be really popular this Spring as well. Many home decorators will be adding woven accents to their theme such as baskets, bowls, rugs and more. Woven material home decor accents exhibit Spring due to their light weight size and warm texture. When you think of woven you usually envision Spring gift baskets, fruit baskets and other Spring related accessories. A great way to use this woven look to bring your home to life this up and coming season is by adding a large fruit basket to your living room table. Adding a small, woven gift basket to your living room coffee table. The options for how to make your home stand out with this unique home decor trend is endless. 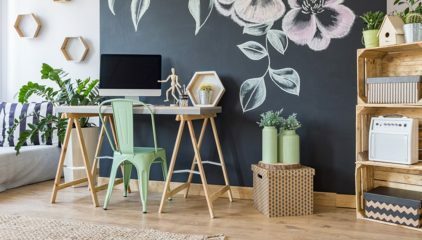 These popular elegant home decor trends approaching this Spring of 2018 is just the beginning of lavishing your home. Don’t stop with these 10 beautiful ideas. The amazing thing about interior design and home decorating is the fact that the possibilities are endless.